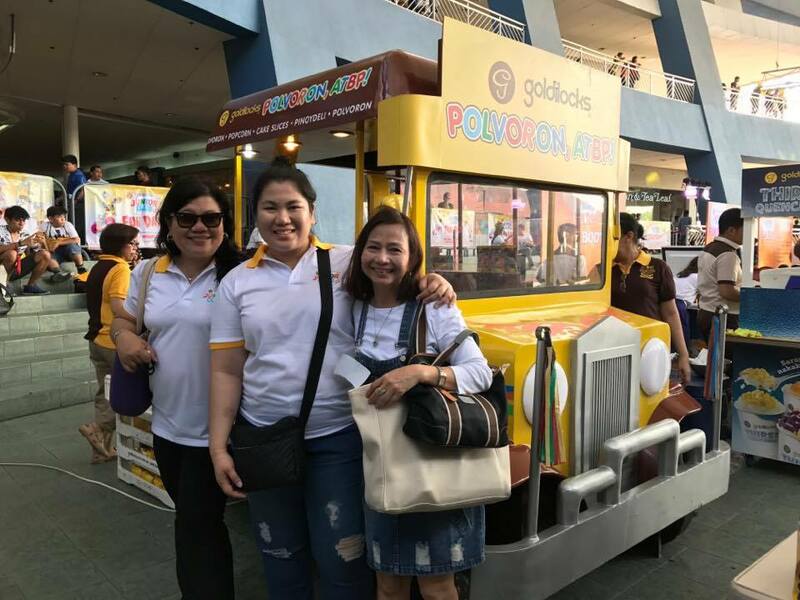 Back in my days, summer was all about going out--not out to party but to play out in the streets with friends, under the scorching heat of the sun. 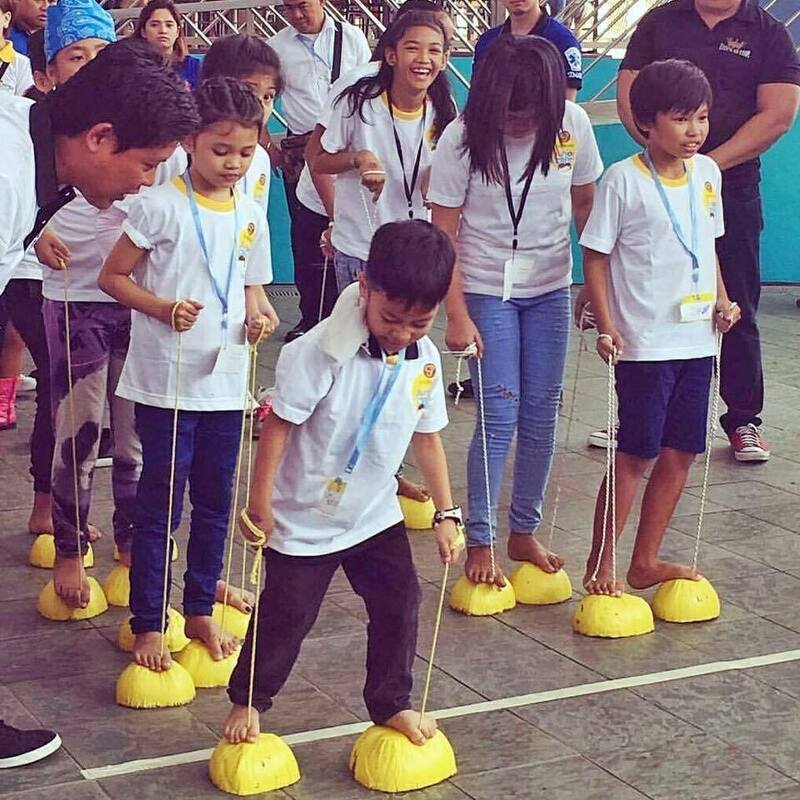 We chased each other, played tumbang preso, skipping rope, piko, syato, sipa, Step No, patintero etc.. If there was a downside to all the high tech devices our children could easily get their hands on, with Youtube as their nanny and all the installed games on their gadgets, playing those traditional games have become the stuff of parties, fiestas and even TV show games. 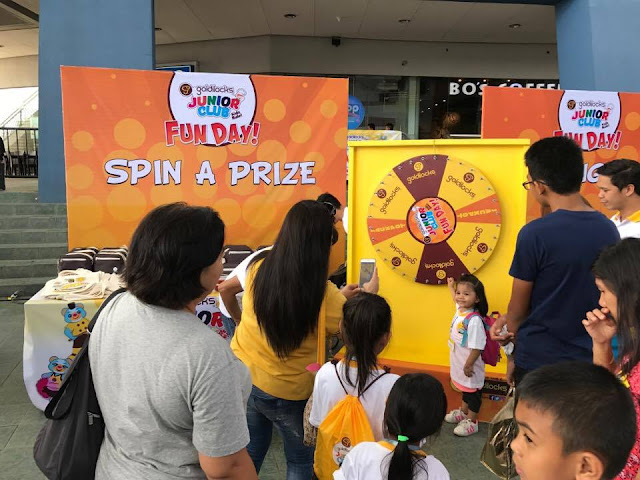 That is why as part of its 50th year celebration, Goldilocks Bakeshop brought back and introduced to these young kids several pinoy games at the Junior Club Fun Day held at the SM Mall of Asia Arena Music Hall, last week. 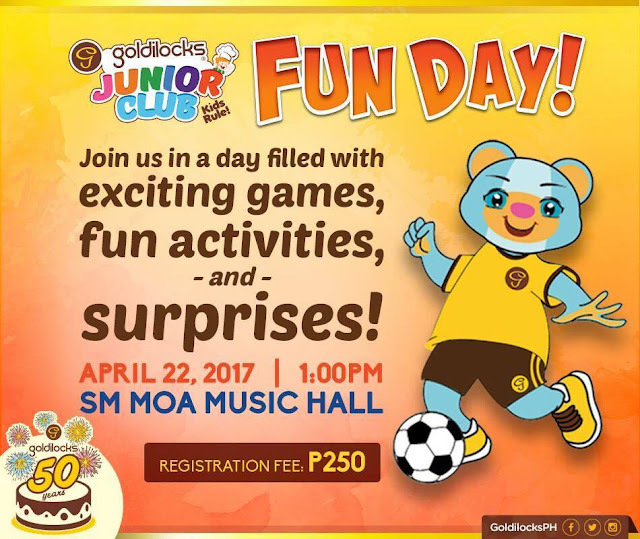 Early in the day, registered Goldilocks Junior Club members received a free shirt, meals, and other freebies when they arrived. 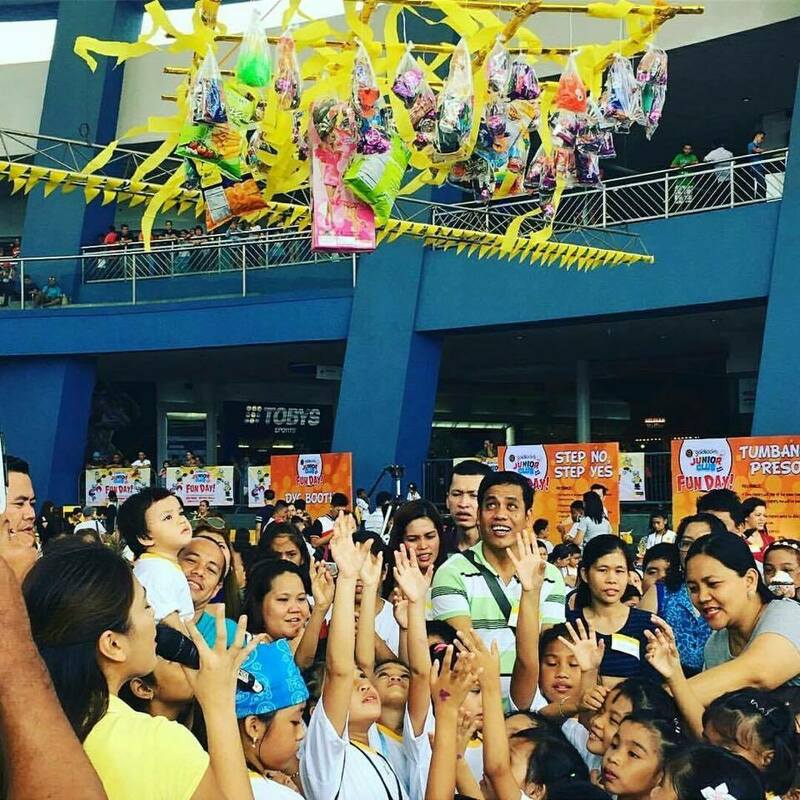 The festivities prompted curious onlookers to sign up for a membership and avail of its numerous perks. 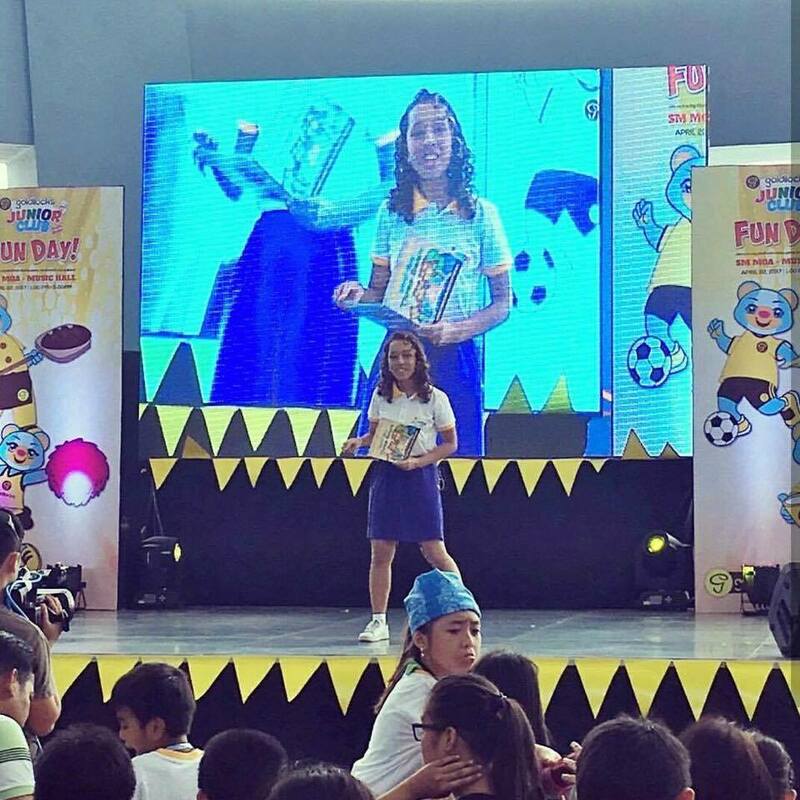 Event host and sports broadcasting personality Chiqui Reyes was on hand to make sure that the program went smoothly, providing fun and excitement for everyone. 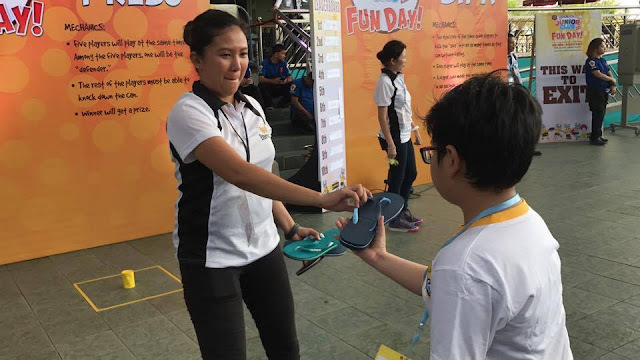 A notable theme throughout the entire day was the emphasis on classic Filipino childhood games. 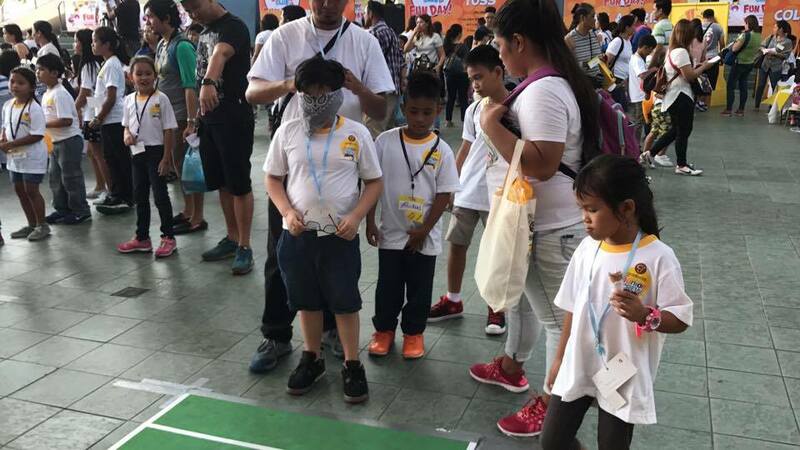 Indeed, particIpants and members of the audience were able to reconnect with their Filipino heritage through games like sipa, tumbang preso, and piko, which brought back fond memories of playing outside on the street with friends. 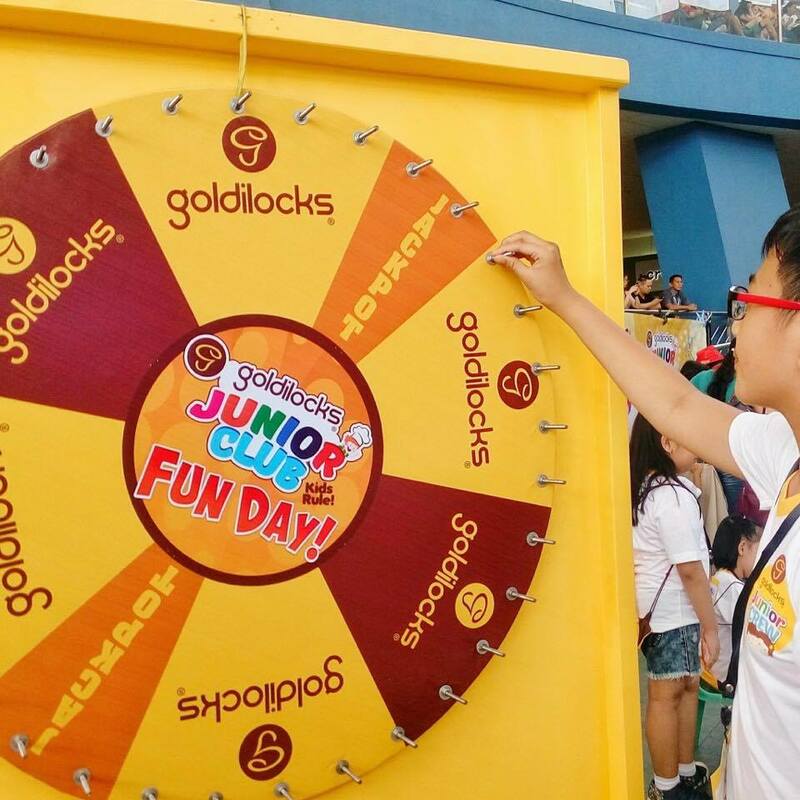 “At a time when most kids’ idea of fun is to be isolated in a virtual world of screens and games, Goldilocks wanted to remind them about the joy of group interaction and physical play,” noted Goldilocks Marketing Director Cherry Caluya. 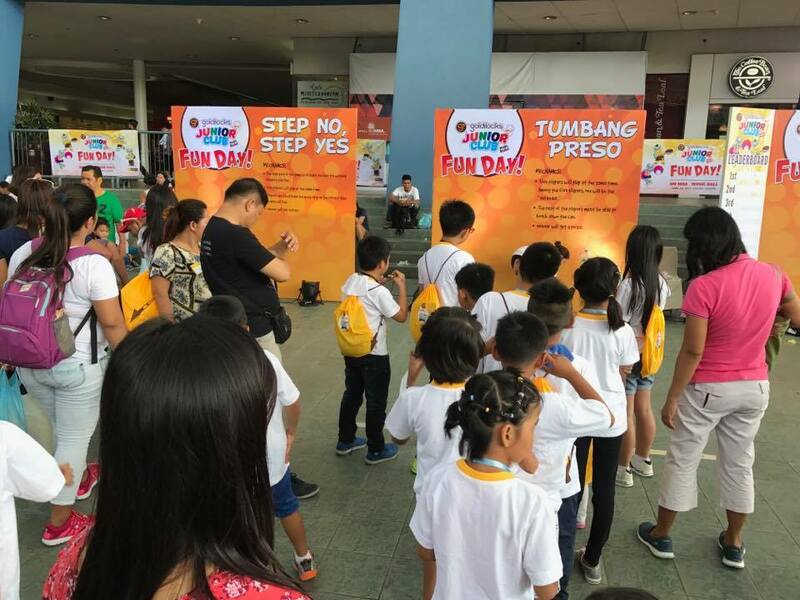 “These larong Pinoy form a delightful part of our Filipino customs, and today’s children will greatly benefit from learning them,” she added. 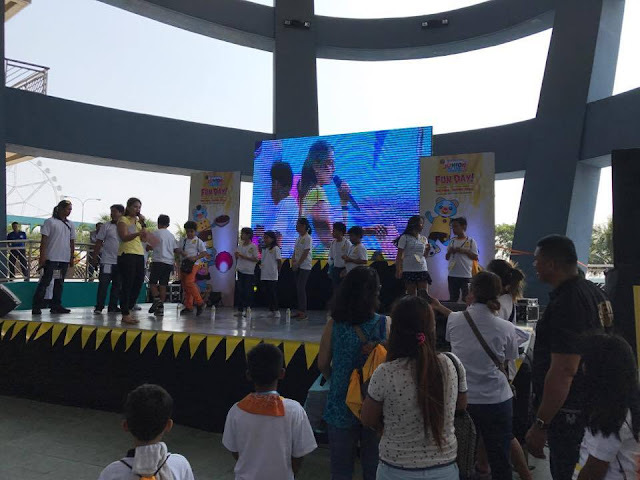 In addition to the classic Pinoy games, attendees were entertained by the Bearkada Bears, who had a dance number and a photo session with the crowd. 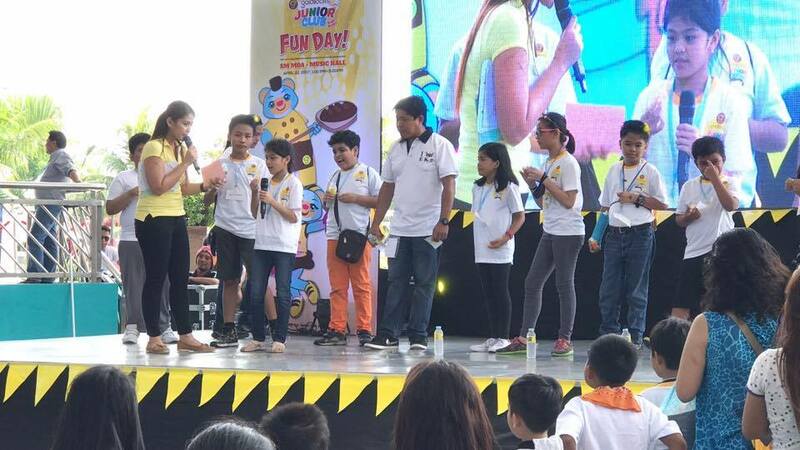 Members were also able to participate in a DYC (Decorate Your Cake) session, and join in on a traditional pabitin game with cool prizes and goodies. The country’s number one bakeshop made sure that the Goldilocks Junior Club Fun Day was a day to remember for everyone. 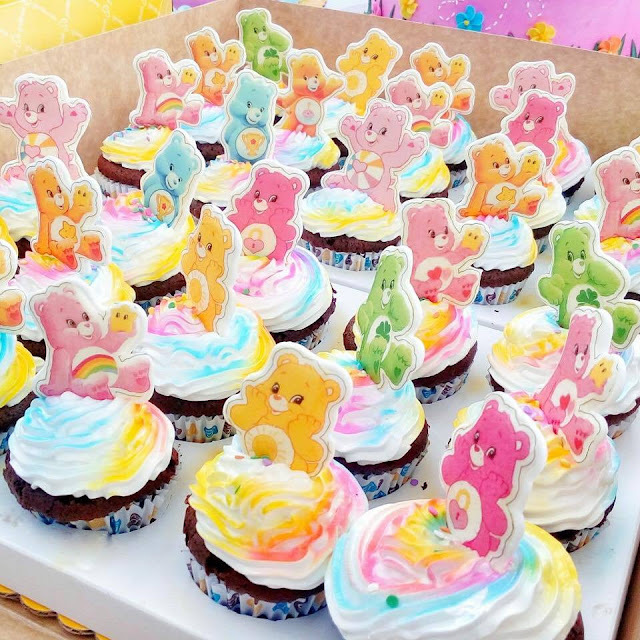 Subscribe For 5 Star verified winning bets on MLB, NHL, NBA & NFL + Anti-Vegas Smart Money Signals!!! Did you know you can get these ON AUTO-PILOT AND TOTALLY FOR FREE by using Add Me Fast?